One of my favorite thing to collect recently has been bracelets, so I chose some of my favorites from the site. 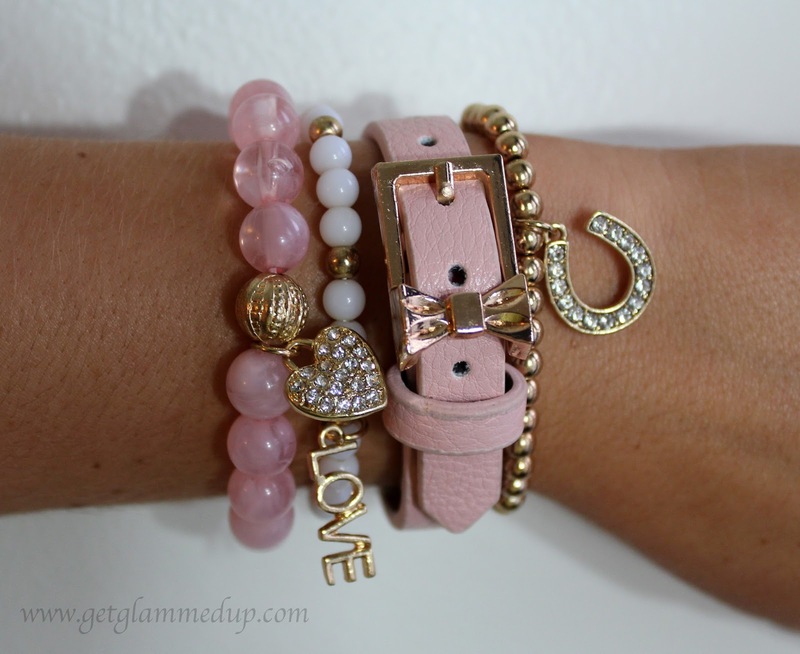 The arm candy set above is called the "Stack Charm Bracelet" and comes with all 4 bracelets for only $10.50. I got the pink one, but it also comes in a pretty purple color too. I love the little charms as well on them. 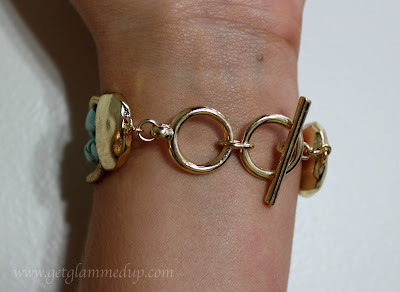 The next bracelet is a staple for stacking with many different bracelets. 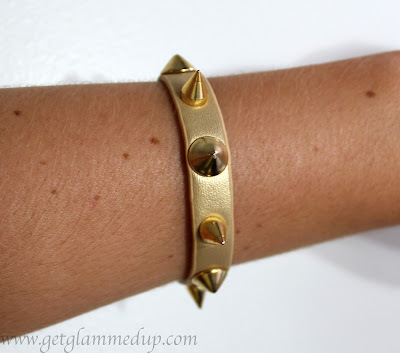 This is the "Spike Bracelet" that comes in 6 different colors. 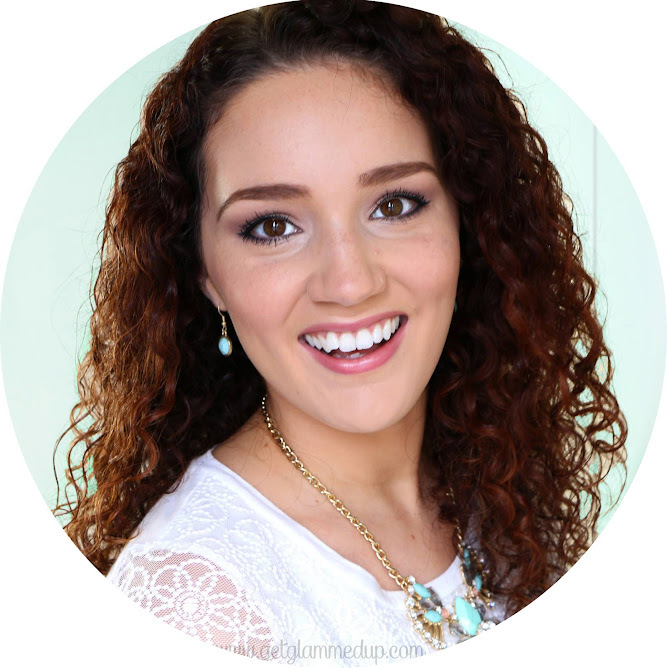 I love the basic gold because I wear gold the most, and it will go with any arm candy set. 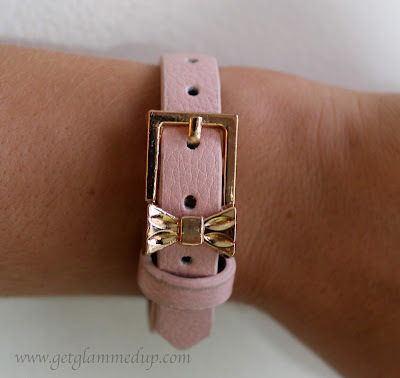 This bracelet is also faux leather, and has 2 snaps for a custom fit. 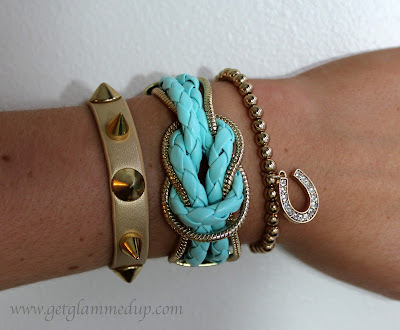 The last bracelet is just to die for if you're obsessed with mint green and aqua like me. 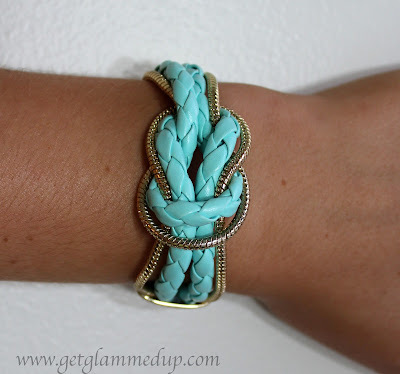 This unique bracelet is called the "Mint Faux Leather Bracelet". It has a bright aqua green color, and is intertwined with gold. The toggle clasp (shown below) has two size choices. I have pretty average-small sized wrists, and this bracelet fits snug on the last ring. So if you have large wrist this might not fit unfortunately. Below I just show some different variations of pairing these bracelets together. They also look beautiful paired with a watch, as I showed on my Instagram recently. FTC Disclaimer: GlamJewelers provided me with the jewelry for a review. I was allowed to selected pieces that I liked, in exchange for my honest review. I was not paid for the blog post. I will never review a product that I am not 100% happy with. All opinions are honest. I am affiliated with GlamJewelers.